Our water is at risk. In Canada and globally, we are facing unprecedented water-related challenges. Canada has some of the world's highest rates of warming, which impacts infrastructure, institutions, ecosystems and human health. Given that half the world's population and all of Canada are dependent upon water from cold regions, the grand challenge for water science in Canada and globally is: "How can we best forecast, prepare for and manage water futures in the face of dramatically increasing risks?" 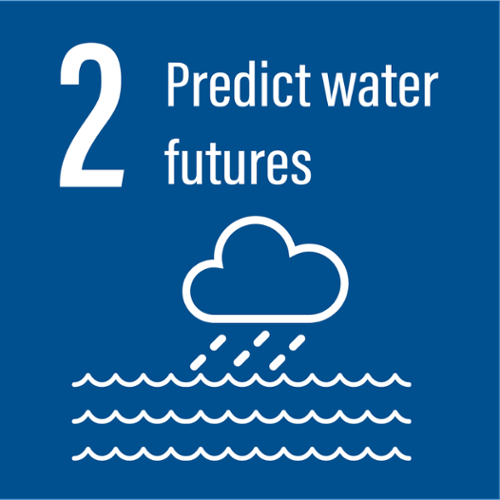 GWF’s overarching goal is to deliver risk management solutions—informed by leading-edge water science and supported by innovative decision-making tools—to manage water futures in Canada and other cold regions where global warming is changing landscapes, ecosystems, and the water environment. End-user needs will be our beacon and will drive strategy and shape our science. Currently, we lack the scientific knowledge, monitoring and modeling technologies, and national forecasting capacity to predict the risk and severity of potentially catastrophic events in Canada. These knowledge gaps and technology barriers have resulted in significant loss of life and property in recent years. 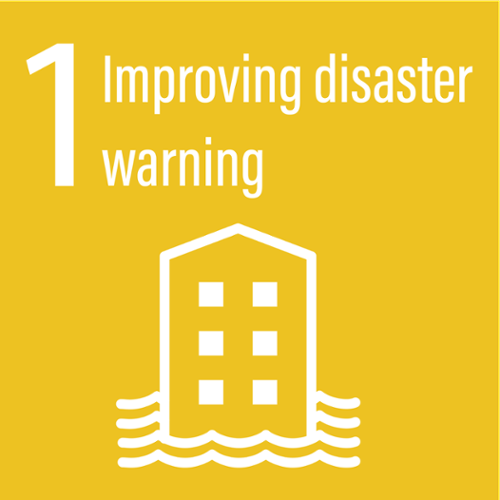 GWF will create Canada’s first national water disaster warning system by creating robust forecasting tools capable of warning stakeholders of impending floods, seasonal water flows, droughts and water quality. Apps, underpinned by our models created in other pillars, will be developed to deliver these systems in a user-friendly manner. These solutions will save lives and infrastructure and provide operational efficiencies to stakeholders and industries such as water managers and hydropower companies. The world lacks water data on a scale to make informed decisions, and we cannot forecast future climate impacts without better models to assess changes in our human/natural land and water systems. These limitations create risks for water supplies, water quality and sustainability. Though a comprehensive research program that integrates multiple disciplines, GWF will establish a more holistic understanding of our changing climate, land, water and ecosystems. This expansive knowledge will create more robust mathematical models that will increase accuracy of our future predictions of water quantity and quality, as well as landscape and ecosystem change for all major Canadian river basins, allowing for scenario modeling of land and water futures. Apps and software that incorporate these models will be developed with the end user in mind for integration into daily decision-making. 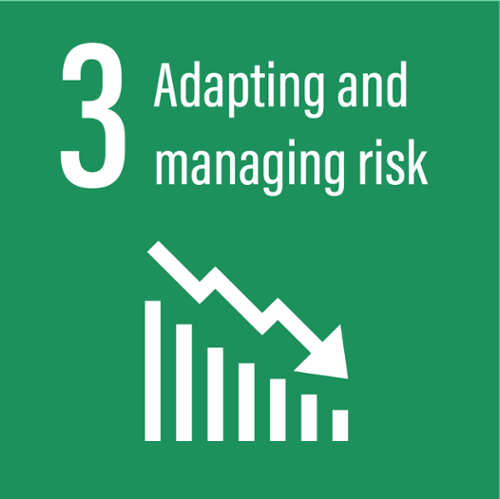 Nationally and globally, we lack the governance mechanisms, management strategies, and policy tools needed to reduce the risk of water threats, design adaptive strategies to cope with uncertainty, and take advantage of economic opportunities that arise as change unfolds. GWF will provide decision-makers in government and across industries and agriculture the necessary risk-management models tools to make evidence-based decisions that result in optimal socioeconomic outcomes. These scenario-based tools will be informed by our transdisciplinary research program and will be customized by sector. For example, GWF will provide government with evidence and guidance on adaptive governance; Indigenous communities with decision-making tools to adapt to changing water quality; urban communities with evidence to adapt and respond to flood risk; agriculture with tailored weather inputs for precision farming and tools for beneficial management practices; industry with guidance on risks and sustainability, and tools to better assess and manage water and environmental risks and liabilities. 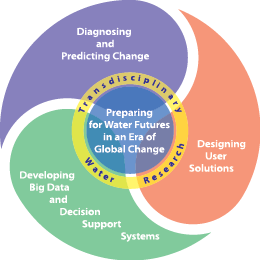 c) a provider for Canada and the world of strategic tools to manage water futures. GWF will achieve this through three interrelated pillars of activity.